Somerset is the official Car Cruise Capital of Kentucky! 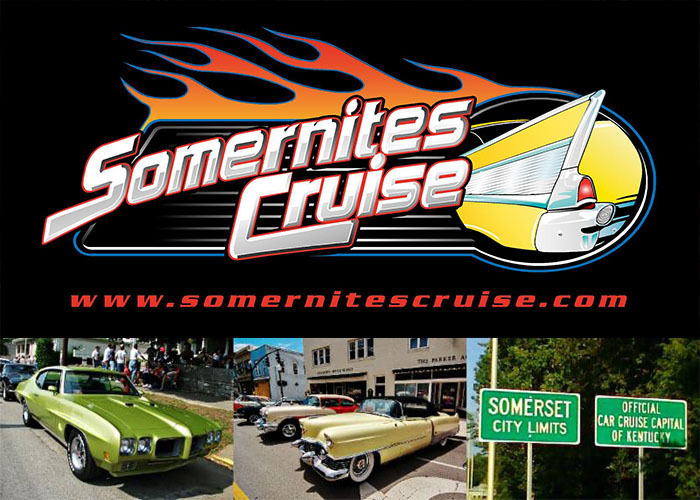 Join us every fourth Saturday, April through October for the Somernites Cruise Car Show. Discover a relaxed, family-oriented atmosphere with great music throughout downtown Somerset. Admission is free and you’re encouraged to bring lawn chairs to sit and enjoy the hundreds of beautiful show cars and trucks as they enter the show area. “Show and Shine” is from 1 to 7 p.m., and “Cruising the Strip” begins at 7 p.m.